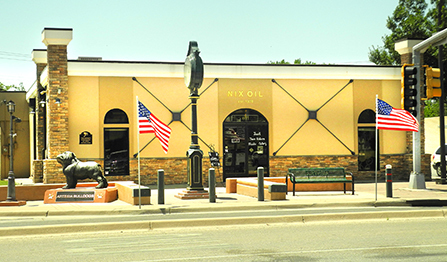 American flags flap in the wind in front of Nix Oil at Seventh and Main streets Thursday morning as downtown Artesia decked out in red, white and blue in observance of Flag Day. Flag Day, celebrated annually on June 14, commemorates the adoption of the U.S. flag on June 14, 1777. The Downtown Lions Club puts out flags in the downtown district on this and other patriotic holidays.